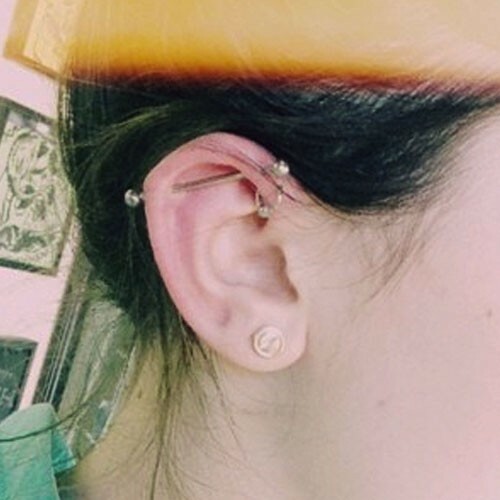 Kylie Jenner got an industrial piercing on her right ear in April 2013. 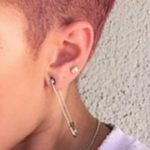 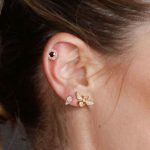 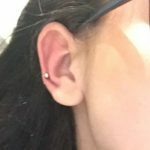 The metal barbell connects an existing piercing on the front of her ear to a new piercing on the back of her cartilage. 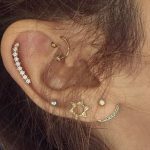 She wore a captive bead ring in her second forward helix piercing and diamond studs in her lobes. 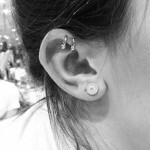 “A little swollen but.. New piercing,” she captioned this picture.